Success! Confirm your opt-in in your inbox and the toolkit is on the way! You get to decide what to do you with your paycheck. Plan your monthly budget with step-by-step instructions. Print out the debt-free thermometer and color in each time you make a payment. 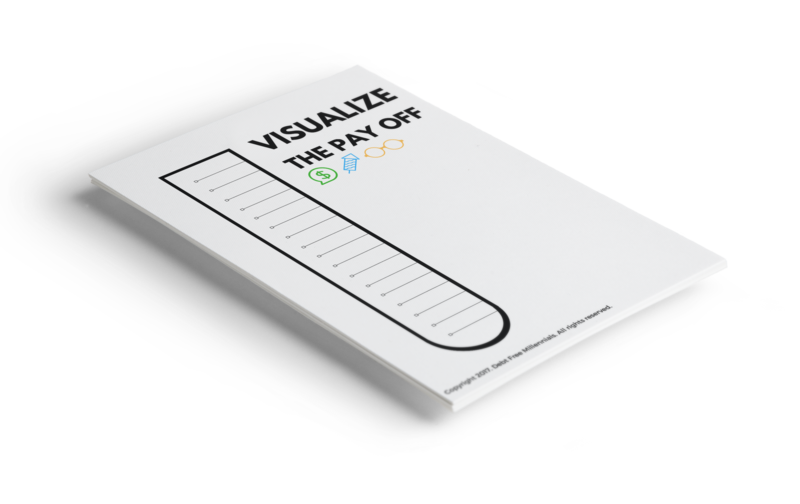 Create realistic money goals with timelines and then crush them. How I paid off $35k in student loan debt. 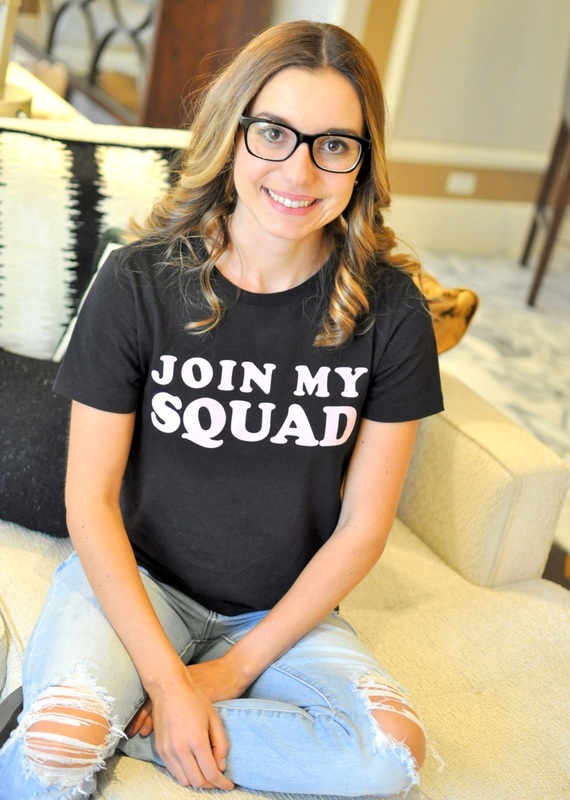 Instead of going on trips to Cancun or enjoying sushi dates with my crew, I was facing an incredibly steep amount of debt with very low income (like $33,000 in salary low). I devised a budget template and visual debt-free thermometer that kept me on track with my debt-free goals and motivated me daily to keep moving the payment needle. In just two years and five months, I paid off $35,000 in debt while making an average of just $37,000 per year. If I can do this, damn straight you can do it, too! All you need are the right tools. Add your monthly expenses and debts owed to the spreadsheet for easy tracking. 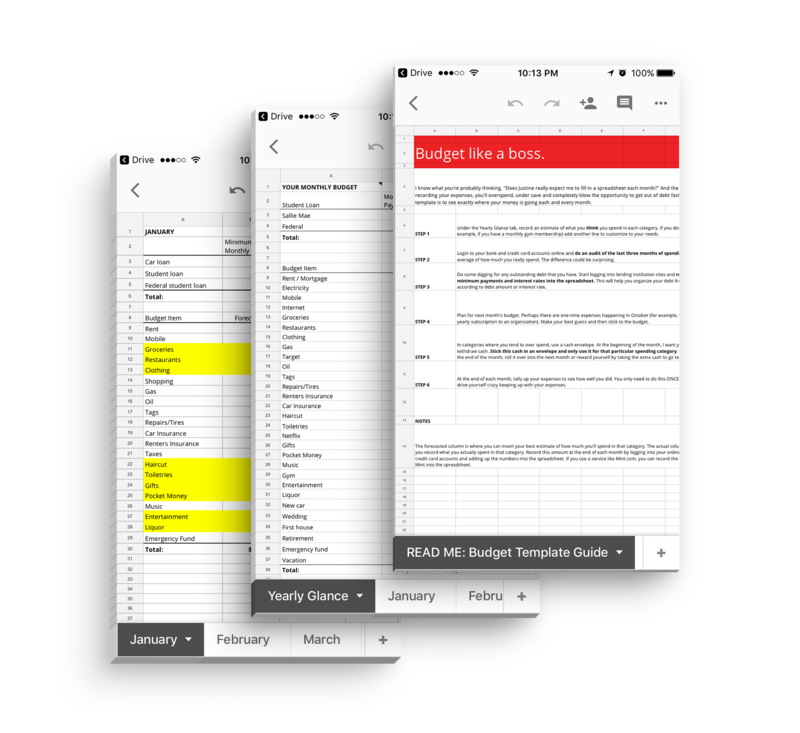 The budget template includes formulas that updates every time your budget does. Tell your paycheck exactly where to go each month without guessing. You get to decide how much to spend. Why am I telling you to do this on a spreadsheet? When you check your bank account every few days, you waste time and money because you haven’t identified where your money is going. Mint.com and other money-tracking apps don’t work efficiently. You end up reconnecting countless bank accounts and you forget to look at it. Spending no more than 30 minutes each month with a custom budget template is the only way you are going to save better, get rid of debt faster and spend money how you really want to spend. Stop waiting around for your finances to change. It's go time. Let's get it organized with the Debt Free Millennials Toolkit. Access granted! The toolkit will be on its way just as soon as you confirm your email.